The Urban Politico: Should The Voting Age Be 16? 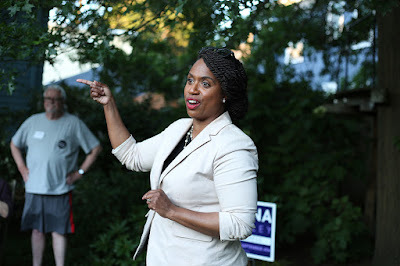 There are some people, among them US Representative for the 7th District of Massachusetts Ayanna Pressley, who think that the national voting age for federal elections should be lowered to sixteen. They say that today's sixteen-year-olds are mature enough to be trusted with the vote. Unfortunately for Representative Pressley, not enough people agreed with her stance. Last month her peers soundly rejected the idea of extending the ballot to sixteen-year-olds. The U.S. House of Representatives has rejected a measure proposed by U.S. Representative Ayanna Pressley (D-Dorchester) to lower the voting age in elections for federal office to 16. On Thursday night the House voted 126-305 on the amendment, Pressley’s first as a member of Congress. An ally, U.S. Representative Grace Meng (D-New York), pointed out that high school students have been getting more active in political matters in recent years. “Across the country, these students are getting involved. They are marching. They are advocating for their generation’s future. 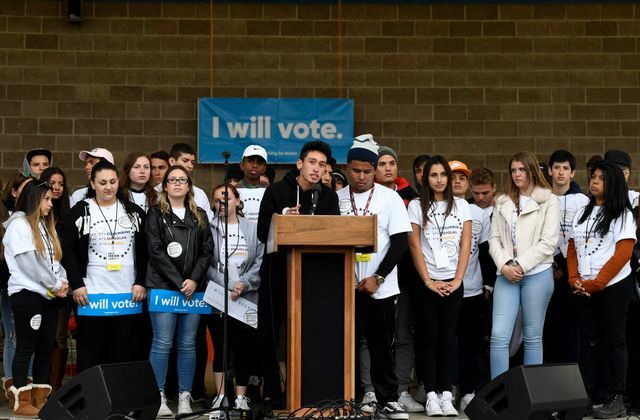 And they are asserting their position in our society,” Meng said, adding that she proposed an amendment to the federal constitution last year to lower the voting age in local, state, and federal elections to 16. I think that this was pretty apparently an attempt to flood the system with voters who would presumably be more left leaning than the average. Younger people have a tendency towards greater idealism and more liberal views than their elders. People tend to become more conservative with age, not more liberal--Bernie Sanders not withstanding. But partisan concerns aside, I just don't think that children should be allowed to vote. If someone else can tell you to go to your room, make you go to school, agree to medical procedures on your behalf without your input, give you a whipping should you commit an offense, tell you what to wear, and make any number of other critical or minor decisions that both good and bad parents make for their children every day, then no you don't get to vote. Voting is for adults. People lowered the voting age to eighteen because we realized that it was unfair to draft eighteen-year-old men into a war which they had absolutely no say in starting or stopping. We don't draft sixteen-year-olds. Nor are we likely to start. People below eighteen are not exactly known for their wisdom and experience. Now it is the case that people mature at different rates. Children can go hunting with proper supervision. About thirty states, including Michigan, have set their sexual age of consent at sixteen. The drinking age is twenty-one. One can make a fair argument about moving some of those ages up or down. But voting tells me that you are an independent mature member of society. And that's not true for sixteen-year-olds.